Regardless of whether or not you fancy forking over three dollars for a pretentious piece of bread, it’s time to face the facts. Toast is trending. No longer do we live in a world where toast equates to nutritiously void white bread with a thin smear of “I Can’t Believe It’s Not Butter.” Oh, heavens no. The time has come to take your toast up a notch or three. We’re talking sprouted artisan [gluten-free] breads chock full of super seeds underneath layers and layers of sumptuous spreads. All organic, local, vegan, non-GMO, and full of kale. Obviously. Whether you’re swapping butter for avocado or ditching jelly for salted dark chocolate sunflower seed butter, consider these new twists on toast a total breakfast game-changer. I hereby propose a toast, to toast! 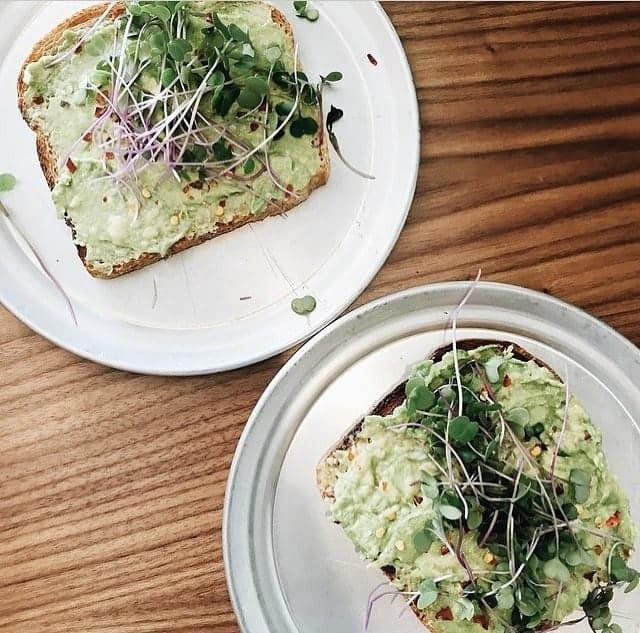 Unless you live in a barn, you’ve likely laid mouth on avocado toast. If you haven’t physically eaten it, you’ve definitely taken a bite via Instagram. 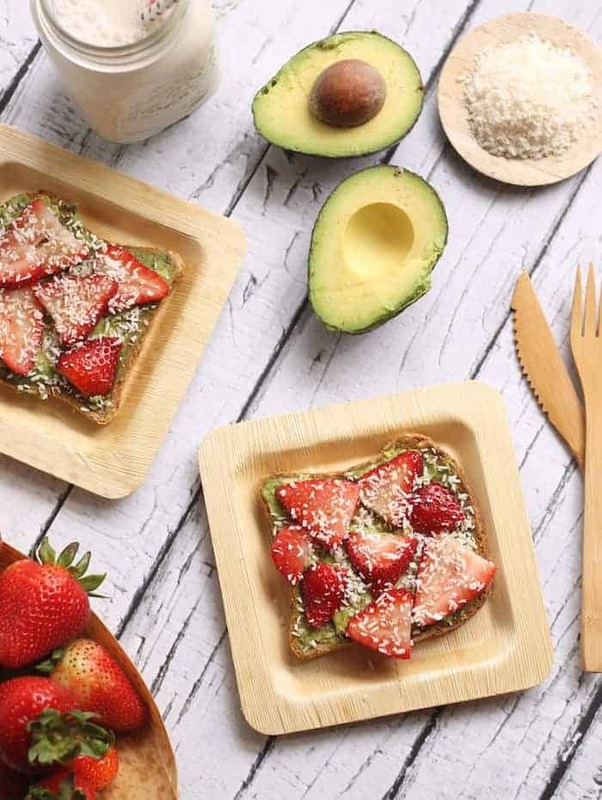 This unique sweet and savory combination of fresh strawberries (hello, immune-boosting vitamin C), shredded coconut, creamy avocado, and a touch of maple syrup makes for a serious party in your mouth. Don’t knock it till you try it. Consider this the modern-day peanut butter banana toast. Almond butter trumps peanut butter in vitamin E, healthy fats, fiber, and to some, taste. Raw cacao nibs have all the health benefits and more of dark chocolate (think disease-fighting antioxidants, magnesium, and fiber) plus crunch factor. Top it off with a drizzle of pure maple syrup and a sprinkle of cinnamon, which may help stabilize blood sugar levels. What is zataar, you ask? It’s a Mediterranean spice blend that just so happens to compliment hummus quite beautifully. Fresh dill and green onions add not only a summery flavor burst, but also a much-needed dose of green to start the morning off right. 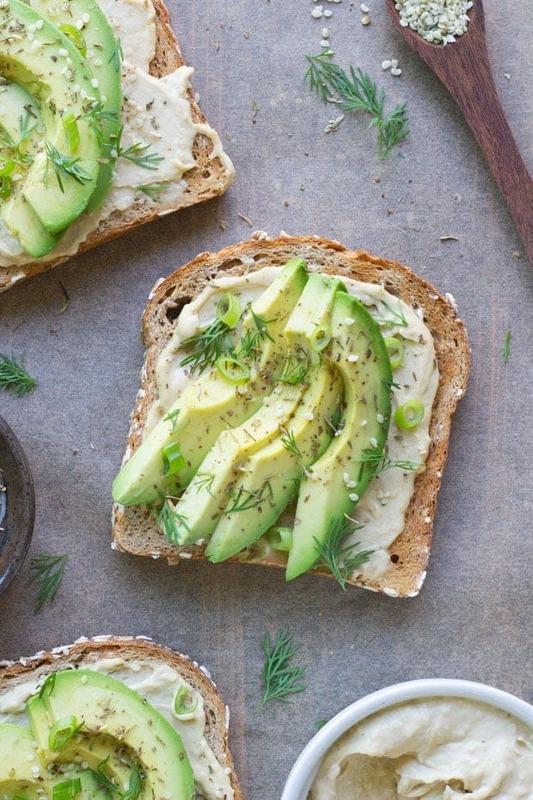 As an added bonus, this toast features high-protein and anti-inflammatory hemp seeds. 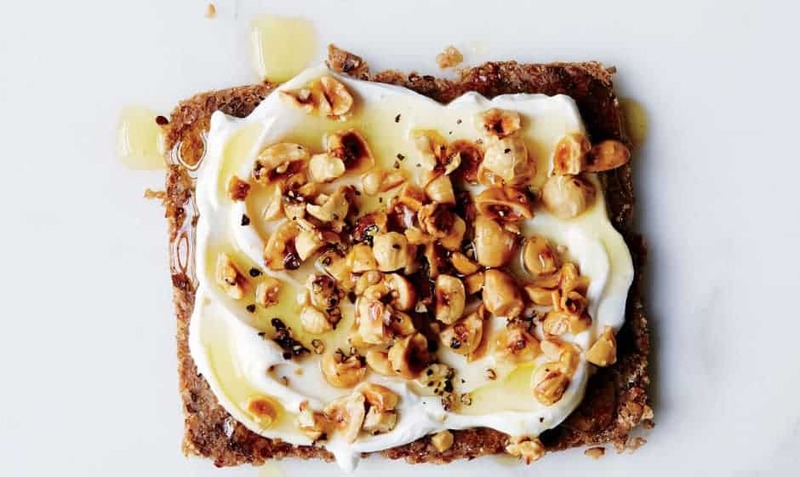 Labneh is a strained Middle-Eastern yogurt that adds just the right amount of creamy tang to this toast. Muesli brings a delicate sweetness to the table that pairs perfectly with toasty hazelnuts. Bonus points if you drizzle this masterpiece with raw honey, which is famed for its antibacterial and antimicrobial profile. Dessert for breakfast, anyone? Hooray for veggies for breakfast! 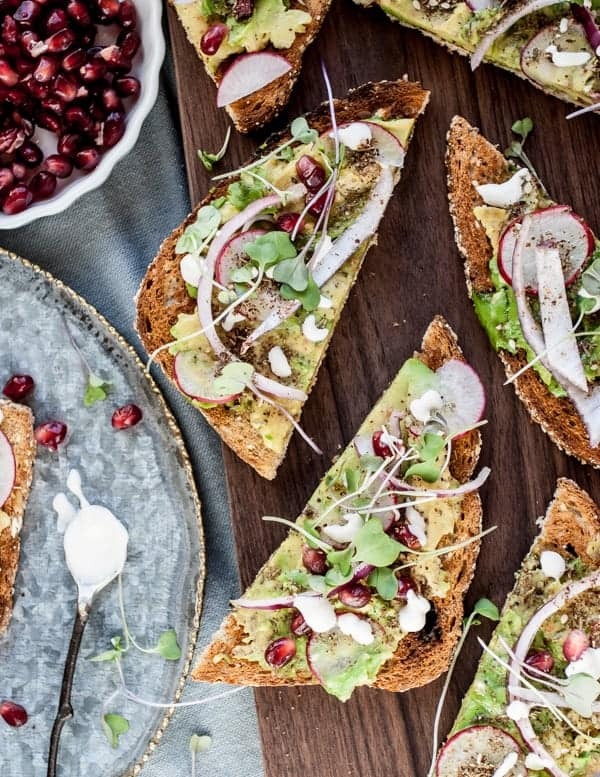 Tangy radishes, crisp micro greens, sweet pomegranates and the classic decadence of cashew cream make this toast one seriously elegant breakfast. Consider it sweet, salty, creamy, crunchy toast perfection. Tip: make the cashew cream the night before so breakfast is a breeze! They have this sprouted quinoa gf number over here in Sydney and its just incred toasted with delicious toppings. Although its 12ish bucks per loaf depending where you get it from. I KNOW. Number five sounds so good! OMG, I don’t know which one to start with! They all look so delicious! I have a sweet spot for hummus though…especially paired with za’atar…so I guess I’ll give that one a try first! These look to die for. Hummus toast with grape tomatoes has been all I want for lunch lately… with a little hot sauce, of course! When I saw this title in my inbox I kind of got excited…LOVE LOVE LOVE! I love toast with toppings, yum!!! I started doing banana/almond butter toast way before it was cool. I called it an open-face toasted AB&B actually. But yours looks way fancier than mine. Toast is totally a thing. Great combos, Alexis! :) Have a lovely weekend! I’m basically obsessed with any toast toppings that involve nut butter or avocado. I think sweet and savory combinations are usually my faves! 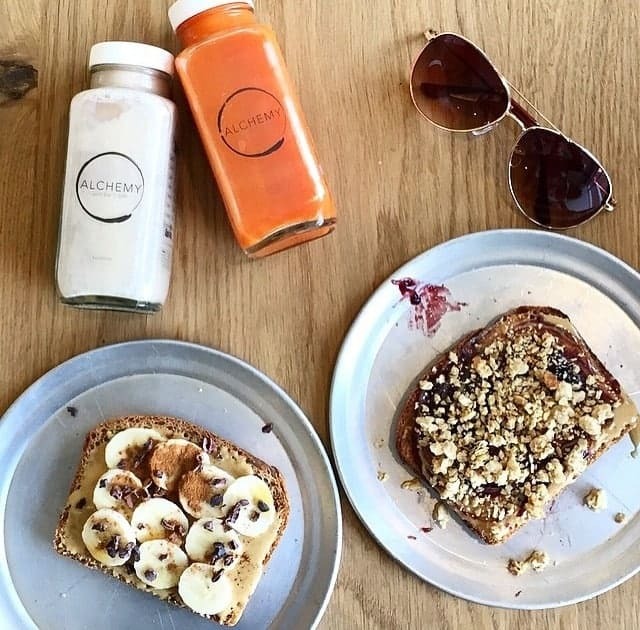 We can all blame SF for expensive, fancy toast… “oh, $6 for bread with some yummy toppings? A STEAL!” -me, on a regular basis.